Date: 8 April 2016, Friday. Not the players but, the celebrity stars will rule the ground. IPL is a history creator tournament and it is all set to rock the stadiums this year also. 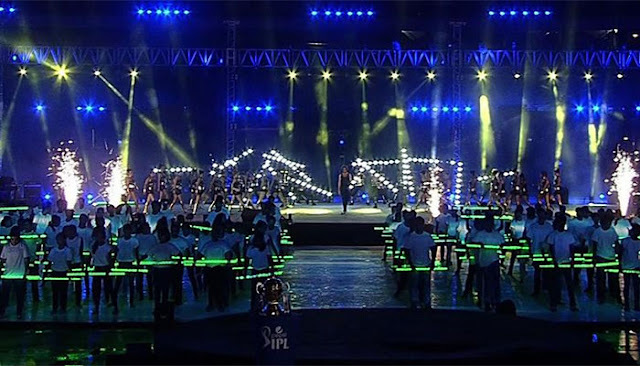 The opening ceremony of IPL season 9 is at the home of hundreds of celebrities, Mumbai. Wankhede Stadium will be fully packed with the celebrities and cricket lovers on this Friday. The event will commence at 19.30 IST and 14.00 IMT. The International stars who gave super hit track ‘Lean On’ is all ready to rock the Mumbai. Yes! 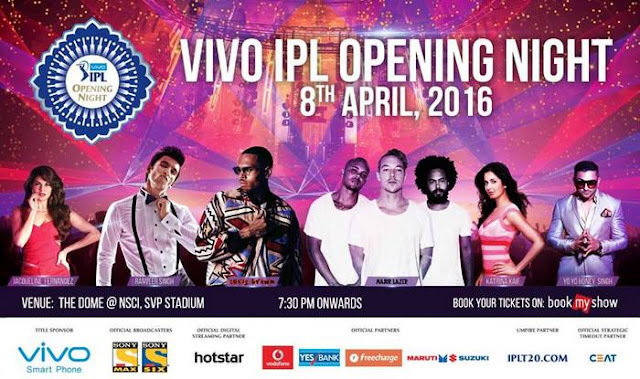 It’s Major Lazor and Chris Brown who will be seen performing in the opening ceremony of IPL season 9. The star on cloud nine these days, Ranveer Singh will surely rock you on the hit tracks of Bajirao Mastani. Apart from this electrifying star, Mumbai will feel blessed with the comeback of Yo Yo Honey Singh, the megastar of the music industry. Nobody can afford to miss this kind of opening ceremony where the top notch celebrities are performing. None other than superstar heroines of Bollywood Katrina kaif and Jacqueline Fernandes will also mark their presence in the 120 minutes nonstop celebration at Wankhede. Before it’s too late, book your tickets for opening ceremony via Bookmyshow, if you want to witness the event physically. Indian viewers, as well as Nepal and Bhutan residents, can watch the ceremony live on Set Max channel. Geo Super will telecast IPL in Pakistan. People from the United States can view on Willow Tv. The job of broadcasting this tournament globally is of World Sports Group from Singapore. The Opening Ceremony is just a few days away. Book your time in prior!